Combo Wagonservice – Samen op het juiste spoor! Wagons standing still cost money. That’s something you are familiar with. Research on the market taught us that fast repairs from any location is the biggest wish of our customers. That’s why we chose to offer repair services from our locations in Geleen (Chemelot), Beverwijk (Tata steel), Born, Venlo, Kaldenkirchen and repairs on location. Our mobile service teams are there to help you. Less standing still means making more money. You could say we are the AA Patrol for the railroad. 20 years ago, we started the first maintenance of rolling stock. Nowadays the Combo-Group employs more than 50 enthusiastic employees. Thanks to the synergy between the several Combo companies we are able to offer our customers a unique combination of services. We want to be your specialist in repairs, AVV repairs or other activities. We work at one of our workshops or send one of our mobile service teams to your location. Available seven days a week! Prevention means less standing still. We like to use our years of experience to give you proactive advice on the best preventive maintenance programs and improvements. The purpose? Keeping you rolling. 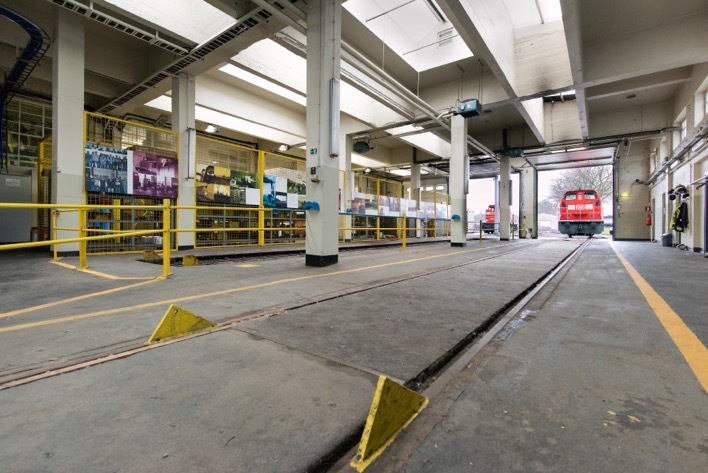 Besides regular maintenance we are also well known with special maintenance like installing GPS-units, equipping wagons with LL-blocks and doing preventive axle measuring. Long story short: we deliver a full size maintenance program. Combo Wagonservice uses the latest techniques, among these are certified brake specialists/bremmsschlossers. We carefully check the complete brake system with help from our brake diagnostic equipment (Pdr5 and 6) to see what damage occurred. It goes without saying that we also replace the necessary brake system parts. We like to see ourselves as an extension of your organisation. We give relevant information and advice about the conditions of your wagons, load and unload circumstances and everything else we discover throughout our multiple offices and specialists. Are you curious? Feel free to contact us.